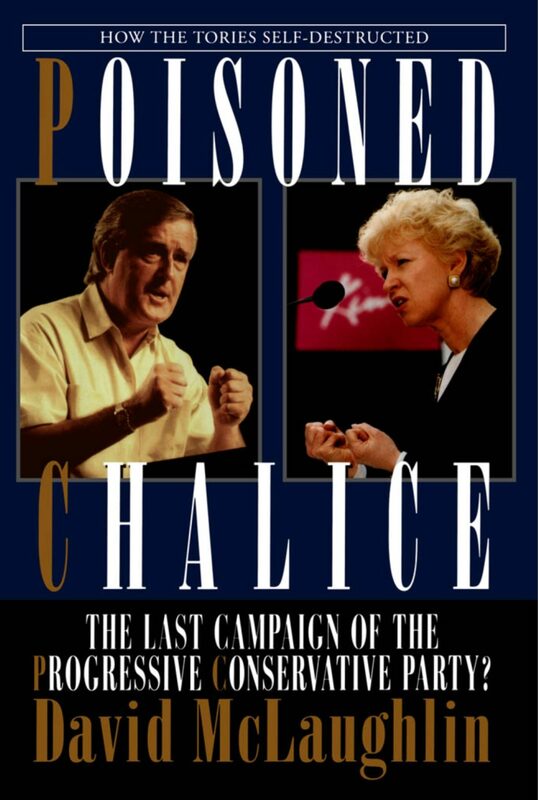 Poisoned Chalice chronicles the fateful end of the federal Progressive Conservative government in Ottawa. The Progressive Conservative Party sought to remake itself by choosing the first woman prime minister in Canadian history, but failed to heed the lessons of Meech or Charlottetown. Their strategy nearly worked. By the time the election was called, the Tories were neck and neck with Jean Chrétien’s Liberals. Then it all fell apart. This book, published exactly one year after the event, tells how and why it happened. It gives a day-by-day account of an election campaign seemingly doomed to failure. It covers the strategy, tactics and political machinations that drove the Conservative campaign from the point of view of someone "on the bus." Read the strategy memos given to Kim Campbell. Listen in on her election-night phone call to Jean Chrétien. Relive Kim Campbell’s campaigh from one end of the country to the other. More than just that, Poisoned Chalice asks fundamental questions about how one of the founding political parties of Canada could come to such an ignominious state. Does the Progressive Conservative Party have a future? Has it been overtaken for good by Reform? This book takes the reader back to the seeds of the Tories’ defeat, from the constitutional debate and referendum, to the Conservative leadership race that never was, to Kim Campbell’s shining summer, to the electoral devastation of just two seats. .